With all the buzz about Budget 2017, the information released since then has been overwhelming as news after news seems to be reporting about the whole agenda. 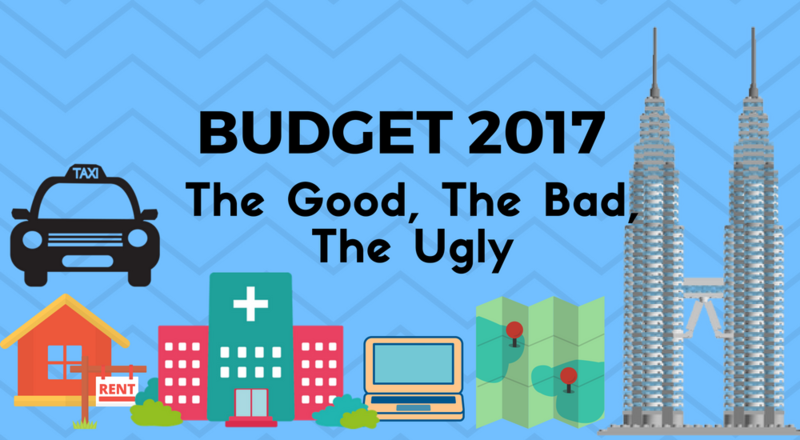 So here’s a simple way we’ve put it so you can see how Budget 2017 aims to change the future for Malaysia and what has been done to take the first step. We’ve put together some of the major announcements that we think will affect the daily life of Malaysians. 1. RM25 billion was allocated for four programmes with the purpose of enhancing the health level of Malaysians and quality of healthcare. The allocation is also covering the upgrade and construction costs for clinics in the Perlis, Kuching, Mukah, Jempol, Muar and Johor Baru area. 2. Appointment of doctors, dentists and pharmacists on contract latest by Dec 2016, to solve issues with lack of permanent posts available. As estimated 2,600 doctors without housemanships will now serve on contract. 1. MyBeautiful New Home, targeted for the B40 group (residents categorised in the bottom 40% income group), received an allocation of RM200mil. Firstly, a total of 5,000 units will be built. Prices will range from RM40,000 to RM50,000 per unit. The Government will finance RM20,000, while the remaining will be paid as instalments by each owner. 2. 17,000 units of destitute and dilapidated houses in remote villages and orang asli settlements to be rebuilt and refurbised (RM350 million allocated). 3. PR1MA is to build more than 30,000 houses with selling prices from 150k-RM300k. 1. The establishment of a Water Supply Fund with an allocation of RM500 million will hopefully address water supply issues throughout the nation. 2. RM723 million to increase the supply of clean water and upgrading the Felda water supply system. 1. One announcement was that fixed-line broadband service providers will be offering services at a higher speed for the same price. 2. MCMC will provide RM1 billion to ensure quality coverage and speed of up to 20MB per second. 1. RM60 million to be set aside to help taxi drivers purchase new vehicles; those earning below RM3,000 a month will be entitled to Socso protection. 2. A RM5,000 incentive when purchasing new vehicles, issued with individual taxi permits from the government. 1. The combined operating budgets for public universities in 2017 was slashed by around 19% (RM1.5 billion). 10 of the 20 public universities in Malaysia will face cuts ranging from 10% to over 31%, with Universiti Kebangsaan Malaysia (UKM) being the hardest hit in terms of percentage, but Universiti Teknologi MARA (UiTM) losing the most in terms of value with RM563 million wiped out from its operating budget. 2. This means that some universities might even be forced to halt entirely their allocations for research. 1. Although RM535 million will be allocated to the disabled for employee allowance, disabled children training allowance and assistance for the disabled who are unable to work, there has still been no elaboration on how the funds will be channeled. 2. There is now unconditional GST relief for equipment such as wheelchairs and prosthetic limbs, which can last for five to 10 years, but these are not essential daily supplies. 1. In the 2016 budget, a ‘one-off’ payment of RM593 million was allocated to compensate toll concessionaires for deferred toll hikes under the works minister. However, no such allocation was present in Budget 2017, which means toll hikes along our expressways will be very likely. 1. For the first time in 10 years, Malaysia has begun removing subsidies on most packages of cooking oil effective November 1. Only two cooking oil packages will retain subsidies until the end of the year: 1kg polybags and 5kg bottles of cooking oil. Effective Jananury 1 2017, only the 1kg polybag will still be subsidised. 2. This is also expected to push up prices of food sold in restaurants and at roadside stalls. It remains to be seen how much these will increase by. 1. For the second month in a row now, fuel prices has increased once more where RON95 is priced at RM1.95 per litre and RON97 is priced at RM2.30 per litre, making both be marked up by 15 sen. Diesel also sees an increase where it is priced at RM1.90 per litre and RM2 per litre for Euro 5 diesel. The country’s petrol and diesel prices have been placed on a managed float system from Dec 1, 2014 following the removal of fuel subsidies. 1. There will be no hike in GST rates but GST collection is expected to increase by 1.82 per cent to RM40 billion in 2017 from RM38.5 billion in 2016. Of course, these are based on the announcements made and what has been reported so far. The allocations do not necessarily mean that the implementations can be as smooth as hoped.